The Virginia Department of Transportation (VDOT) is responsible for building, maintaining and operating the commonwealth’s roads, bridges and tunnels. Virginia has the third-largest state-maintained highway system in the country, behind Texas and North Carolina. Through the Commonwealth Transportation Board, it provides funding for airports, seaports, rail and public transportation. VDOT is at the forefront of the Federal Highway Administration’s (FHWA) “Every Day Counts” initiative promoting the use of technology to shorten and enhance project delivery. VDOT has established a leadership role in e-construction – the digital management of highway construction documents – by adopting technology solutions for several of its highway construction projects. Learn how modern tools and integration with your contractors have saved projects up to 55% of their estimated construction time. 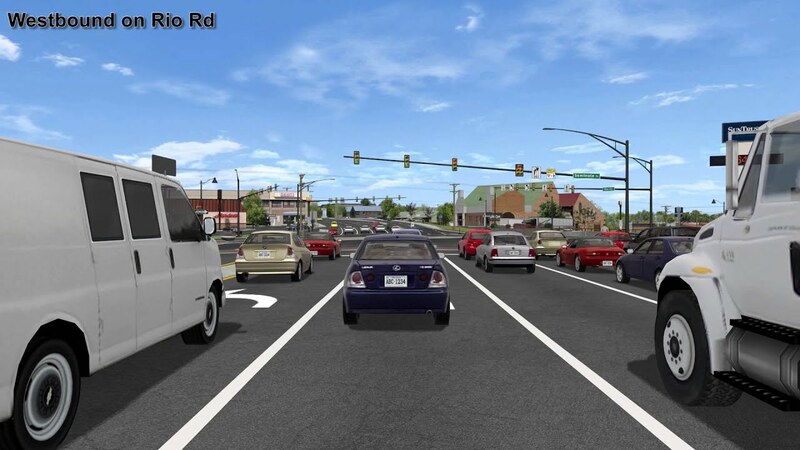 The Route 29 Solutions improvement project is a group of eight highway improvement projects to increase capacity and efficiency along Route 29, the busiest north-south corridor in the Charlottesville/Albemarle County region. The $250M, high-visibility program represents a significant investment in alleviating congestion on the heavily traveled route. After a long delay, the Route 29 project had been revived and put on a highly compressed “flash track” time frame for completion. It was scheduled to move through planning, construction, design and delivery in only 3.5 years, beginning in June 2014 with a scheduled completion date of October 2017. As part of the effort to expedite the Route 29 program, three of the projects are being delivered using the design-build process. Unlike the traditional design-bid-build method involving separate entities, the design-build process streamlines project delivery through a single contract between project owner and design-build team to achieve time and cost savings through increased efficiency. 900+ engineering documents, many up to 1,000 pages long. 15-30 engineers reviewing plans in multiple locations. Up to 14 simultaneous reviews on some documents. External reviewer access restricted by firewall. VDOT had typically used MS Word files and email for engineering document submittal and review. But the large, complex documents were difficult to format and required internal servers to transfer because of email size limitations. Manually receiving, editing, and aggregating hundreds of comments on multiple documents was cumbersome and time-consuming. Transferring data outside the company was difficult because of firewall and IT restrictions. VDOT needed a centralized system for managing simultaneous document submittals, revisions, reviews, and approvals, as well as other project-related communication in a single location. Centralized aggregation of document reviews and comments. Elimination of Word documents, email, and servers. Simplified file transfer between VDOT and its design build partner. Cadac was also a natural choice for VDOT because of its compatibility with their existing SharePoint system. With e-construction and Sharepoint-based projects becoming a greater priority, they also wanted a system that would fit their future needs. To implement the new system, Cadac provided a two-day onsite training session followed by ongoing, responsive support for the Route 29 team. Project delivery in 55% of allowable time, in 57 days vs. 103 days budgeted--well ahead of the September 2016 target date. Contractual document review cycle reduced by nearly 50%, from 21 days to 9 days or less. Average review time was approximately 5 days. $7.3M of $10.3M in early completion incentives earned to date and on track to earn total incentive amount. SharePoint-based Cadac Organice Suite is a user-friendly e-construction system ideal for DOT contract administration and project delivery. Cadac Organice Suite gives you an efficient, centralized system for managing all your project-related communication in a single location. You get a secure, SEC501-certified environment for the creation, distribution, review, approval, and transmittal of project documents. Time saved means money saved. With a centralized system for document storage, management, and communication, you can significantly reduce time and costs—and improve project quality. Streamlined communication between VDOT engineers and design-build partner. Centralized document management system eliminates MS Word documents, email, and servers. nables simultaneous document review by multiple engineers. Simple submittal uploading and tracking. Tiered access levels allow 24/7 file sharing by internal teams and external partners from any location.